Bill Ackman, an activists investor, is looking to take control of Automatic Data Processing (NASDAQ:ADP). The move was announced by Automatic Data Processing in a press release on Friday. According to the company, Bill Ackman is seeking an extension to its nomination period for members of its Board of Directors. Automatic Data Processing will be ending its nomination process for the board members on Aug. 10, 2017. Bill Ackman wants to extend that time period by 30 to 45 days. However, ADP has rejected his offer to do so. Bill Ackman wants to extend the period of time for nominating board members so that he can put in nominations for his own people to join the Board of Directors. The CEO and founder of hedge fund Pershing Square Capital Management is planning to nominate five members. One of those nominations is for himself. ADP’s board includes 10 people. Bill Ackman isn’t just looking to shake up Automatic Data Processing’s Board of Directors. He has also openly called for the capital management company to replace CEO Carlos Rodriguez. Ackman make his pushes during ADP’s 2017 annual meeting. 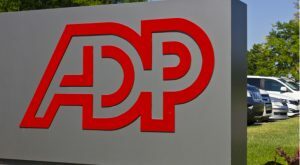 Pershing has an 8% stake in ADP through derivatives. ADP stock was down slightly as of Friday morning, but is up 8% year-to-date. Article printed from InvestorPlace Media, https://investorplace.com/2017/08/bill-ackman-automatic-data-processing-adp/.